Welcome back to our weekly Top 10 Android App Updates column, Sorry i forgot to post this on May 4 been busy anyways, I've found that one of the best ways to discover useful apps is to look at what people are actually updating, and not focus on which apps have the most installs. To find the most updated apps, I turn to AppAware. It’s a great tool that shows me which apps have active support from their developers and sometimes reminds me of an old app that I might have removed long ago. Make sure to install it so your activity can help determine our weekly top 10 list. The following is a Top 10 list of apps which were updated in the last seven days and received the most updates during that time period on AppAware. Based on previous feedback, I am filtering out apps that have over 10 million installs since most are well known. I hope you enjoy this weekly feature and discover some apps that you might find useful. Have you seen the new AppAware website? This service is so amazing if you are an app lover and I’m surprised it hasn’t passed 100k installs yet. Get the app now, check out the desktop site, and let us know what you think. This is a neat little network tool that can help boost your local WiFi network. If you are still using 2.4 GHz 802.11b WiFi, there are only 11 channels available and it’s easy to get interference with your neighbors. 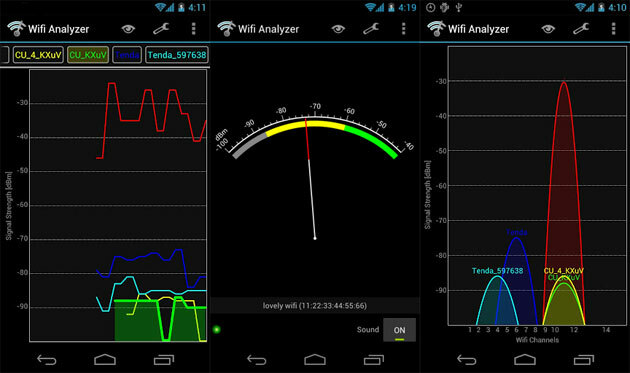 This app lets you scan the networks around you and suggest which channel to place your WiFi router on for least interference. Check out the how-to video in the Google Play Store if you need help. Fresh reading view and easy to use options! Combined sharing view to share to multiple networks at once! I still prefer Google Reader for keeping up with my news sources, but Pulse is a great reader if you prefer something a little more visually pleasing. The latest update is pretty minor, but download Pulse if you have never tried it before. Make sure to add Android and Me to your feed to get all our latest stories. Bugfixes such as hiding the background for numbers, etc. Beautiful Widgets was the first paid app to surpass 1 million downloads and it keeps going strong with new updates. The latest update allows you to add multiple forecasts to a single widget. The app price is back up to $2.79, but it’s worth it if you like to customize your homescreen. (Fixed) It may get crash when paging the widget. (Improve) If you are not using the GO Launcher EX, you will find an icon in your screen. The Go Launcher Dev team continues to amaze me. Their Go Launcher EX is one of the most popular home screen replacements and all their apps are of the highest quality. Go Calendar Widget is similar to the default widget, but it supports switching between months by flipping like a real calendar. 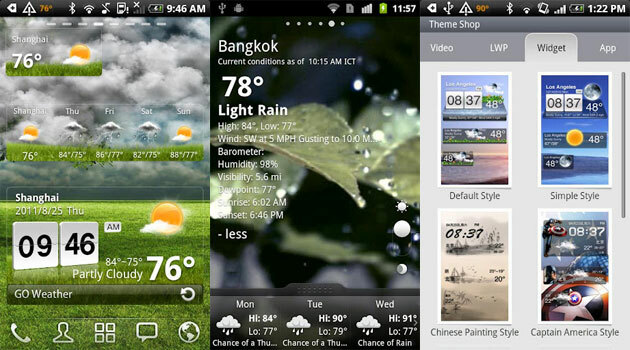 Just like all the other like other GO Widgets, themes are also supported. They keep updating Firefox, but it’s really falling behind the other alternative browsers like Dolphin HD. The new version comes with an updated minimum requirement of Android 2.2 or higher. The new UI shows its Froyo-y heritage, too. While the whole app has seen a redesign that's pretty slick, it uses no deprecated menu styles whatsoever and conforms to the UI standards of whatever OS version it is running on. Looks aside, the update is also pretty powerful. New ‘Ice Cream Sandwich’ inspired design! NOTE: There is an issue on some Android tablets. We’re working on a fix ASAP. TuneWiki is the music player that lets you get lyrics instantly translated into 40+ languages. This week they rolled out a major update that includes a new Android 4.0 inspired design. I tried out the new version and it appears the performance has been greatly improved. I was able to ID songs pretty quick and it pulled up the lyrics right away. If you have never tried TuneWiki, they also have a social network that lets you comment on and discuss the meaning of lyrics. It’s definitely a unique experience for music fans and it’s free, so check it out. Android has a lot of remote access apps, but not many of them are free like TeamViewer. I’ve never used it, but it already has 1 million installs with an average review score of 4.7. It supports multiple desktop operating systems including Windows, Mac, and Linux and the viewer works on mobile devices with Android 1.6 or higher. The latest update adds support for the Galaxy Note, which I bet provides an amazing remote access experience with its 5.3 inch HD display. The donate plugin was renamed to Pro Key plugin for using exclusively features. Please go to Google Play to update. Add Memory Manager for all Pro Key owners(need root permission). File Expert comes from Geek Software, makers of Root Explorer. The claim it’s the ultimate file manager and it looks to have the features to back it up. It’s designed for both advanced and entry level users and allows them manage files stored on a local SD card, local WiFi network, or cloud storage servers like Dropbox and Box.net. SoundCloud allows users to record, listen and share their sounds privately or publicly on Facebook, Twitter, Tumblr and Foursquare. The app also includes a social stream that lets users listen to, favorite and comment sounds from others. This latest update is a maintenance release that mainly includes bug fixes. (Fixed) Some MOTO devices are unable to play cloudy video. (Improve) Color of text in default video. (Improve) User experience of updating weather data. What more can we say? It’s a weather widget from the Go Launcher Team. If you like their other work, then you will love these widgets. 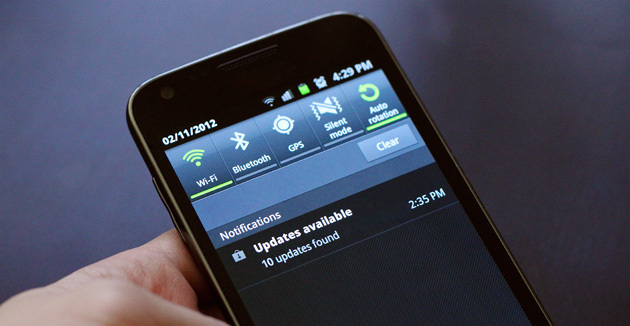 Did you see any Android apps that received notable updates in the last week? Share your suggestions in the comments below and we will add them to our honorable mentions list.